Early in my time in the SSJE one of the older members of the community was interviewed by a student journalist. He was asked what life in community had been like for him the fifty years he had been professed. He answered in a quavering voice that it had been a struggle the whole way. I had known him for a while at that point. I think that answer was an exaggeration. Fr. Johnson was known to take life seriously, but I know that underneath was a sense of joy. Now that I have lived in community for nearly fifty-five years I can say that community life consists both of challenges and joys. Being able to meet the challenges and to enjoy the rewards has enabled me to survive without feeling that it has been a struggle the whole way. There have been times of struggle, and times of great rewards. It is our ability to “hang on” during the times of struggle and to rejoice in the rewards that enables us to persevere. Yes, there have been bumpy times. But life in almost any setting has its bumpy times. The secret is to try to keep one’s balance and hang on. Fr. Richard Benson, the founder of SSJE, wrote in one of his instructions on the religious life that we should not expect a monastic community like ours to be made up of like-minded individuals. When we come to try our vocations it is in response to a call from God. We come from different backgrounds and environments. We learn to live with one another and appreciate the differences that we find in one another. We enter at different times. This sometimes results in generation gaps. Sharing the history of those times can be a reward. 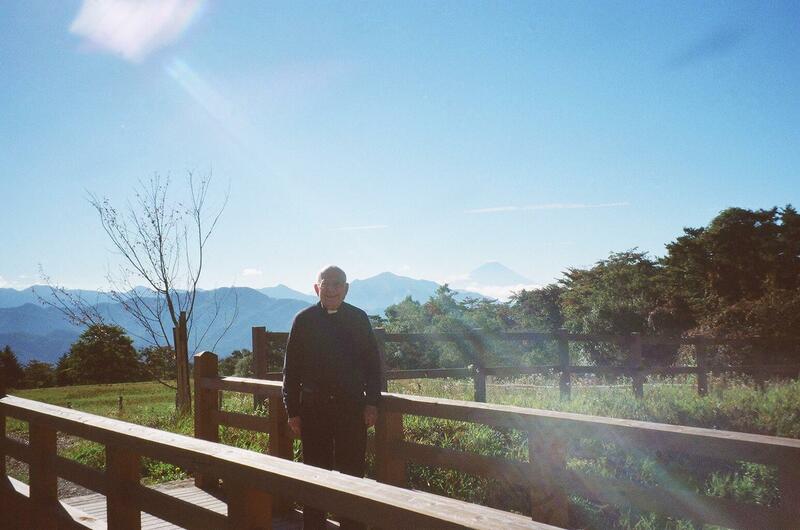 When I was a novice and the romantic side of living in a monastery had begun to wear off, I had occasion to speak to the conductor of our annual retreat about difficulties when some in the novitiate had different opinions from mine. The retreat conductor was Novice Guardian of another congregation of our Society, and was experienced in dealing with such questions. He answered that the novitiate was like putting rough stones into a bag and shaking it. Eventually the rough edges of the stones wore off and they became smooth. Another time similar problems began to bother me. I asked our Novice Guardian if I might try some other community to see if it was better for me. He was going away for a week and asked me to wait until he got back. A few days later I was on the subway in the early morning on my way to one of the convents to preside at the Sisters’ Eucharist. As I hung on the strap in the crowded subway car, suddenly words came to my mind, “If I leave, I shall miss all of this.” Later that day the Superior called me into his office and said he had been told that I was thinking of leaving. I told him my experience on the subway, and he said, “I am glad! I was going to talk you into staying. Some of us need community life for our salvation.” Soon after that the one who bothered me left the novitiate. One of the reasons that I was drawn to the SSJE as I perceived a call to monastic life was work SSJE then had in Japan. I had been to Japan while I was in the Navy between college and seminary and liked what I saw there. I hoped that there might be a chance of being sent there. Later I reached the point when it didn’t really matter where I served the Lord. That winter I learned that my younger brother was to be married in Sweden in the late spring, so I asked the Superior if I might go there for my vacation instead of to Spokane, Washington, where my family lived. Fr. Williams told me, “Then you can fly from Sweden over the North Pole to Japan. I plan to send you there.” That was a real reward. I served in Japan for over thirteen years. In July 1975 the Society made the difficult decision to close the work in Japan. I was the only American member of the SSJE in our work there at that time. That was my most difficult struggle with the vow of obedience. I had grown to love Japan and the Japanese people. I prayed all of that summer that one of the Japanese Bishops might ask me to stay in Japan and serve there. In the end my sense of obedience and monastic stability prevailed, and I returned to America that October as I had been asked. I went through a difficult period of mourning. But in a few months I began to find compensations. I got involved in the Episcopal Asian American Ministry. Eventually I helped to found the Episcopal Boston Chinese Ministry at St. Paul’s Cathedral, where I still assist about twice a month. I think the main reason why any of us who have faced challenges in community life have persevered is the realization that Jesus’ words, “you did not choose me, but I chose you,” spoken to his disciples at the Last Supper, are also spoken to each of us who is truly called to the monastic life (John 15:16). Along with Jesus we can say, “My food is to do the will of him who sent me” (John 4:34b).